Thoughts of John on the Links. 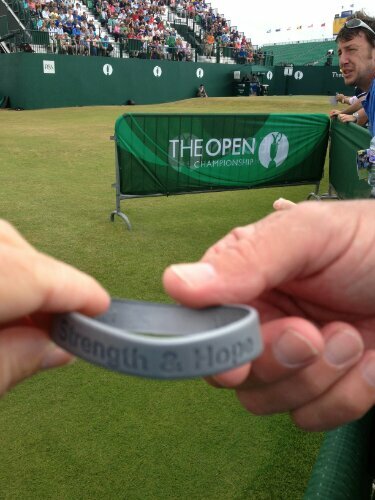 Strength & Hope from The 2013 Open, Muirfield Golf Links, Scotland. Cameras are forbidden on this course so Maureen was very sneaky about getting this picture. Have fun at the JBT Golf Event today! ← JBT Support from the Air Chair!